Beautiful wooden valet box with internal dividers for storing shoe cleaning materials with an engraved Herring crest on the lid. 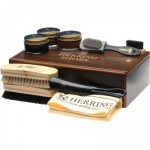 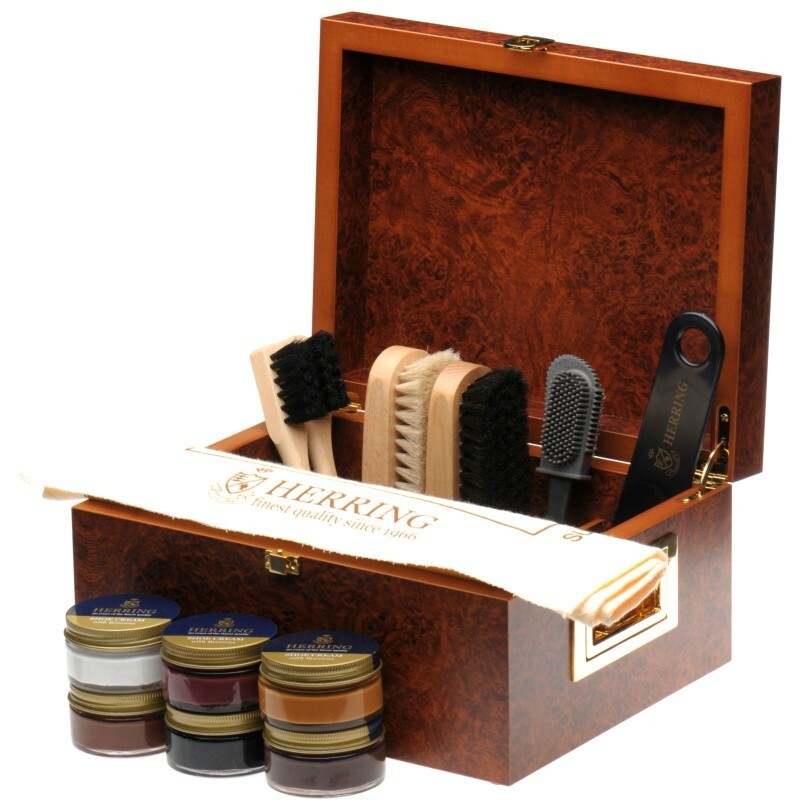 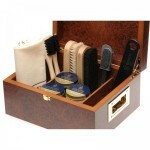 Contents: 2 horse hair shoe brushes, 2 welt/applicator brushes, suede brush, 6 cream wax polishes, shoe horn and a premium polishing cloth. 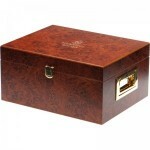 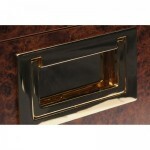 Dimensions W27.5 x H16 X D21.5 cm.